It's Not Work, It's Gardening! : Shift! 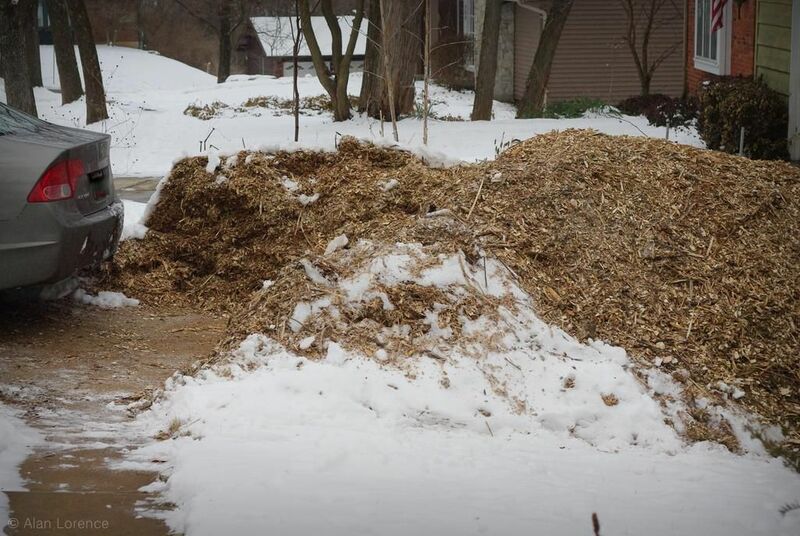 So, that mulch pile that's on my driveway? It's much larger than I thought it was. You see, I had to move it a little bit. 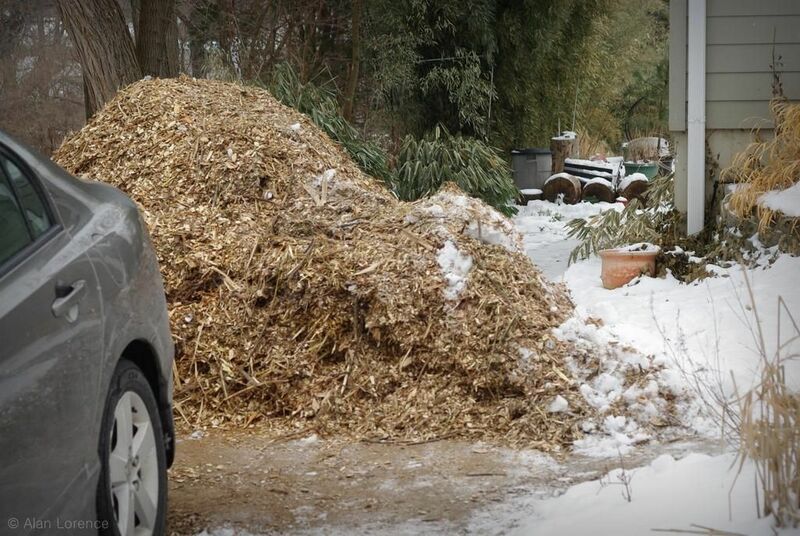 The weather wasn't conducive to spreading it anywhere in the garden, but the car really needed more space. So I slid the pile back five feet or so. I wish it were that simple, that I could have just pushed the whole thing at once. Unfortunately, I had to climb upon it and move it a forkful at a time. It was something of a workout. I wonder when the snow will melt and I'll be able to spread this around? 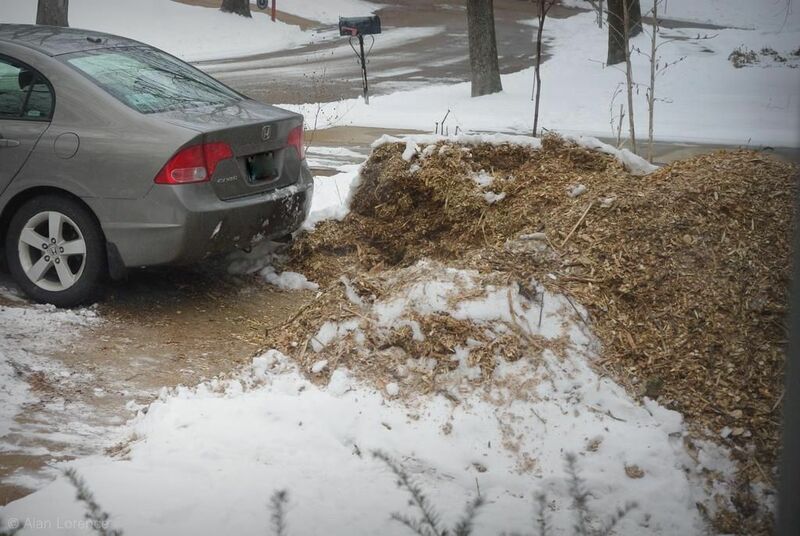 I got the roadside wood trimmers to dump two loads of woodchips at the end of our 'driveway'. Not much got put in place before snow season. Now the town plow plows snow onto? into? 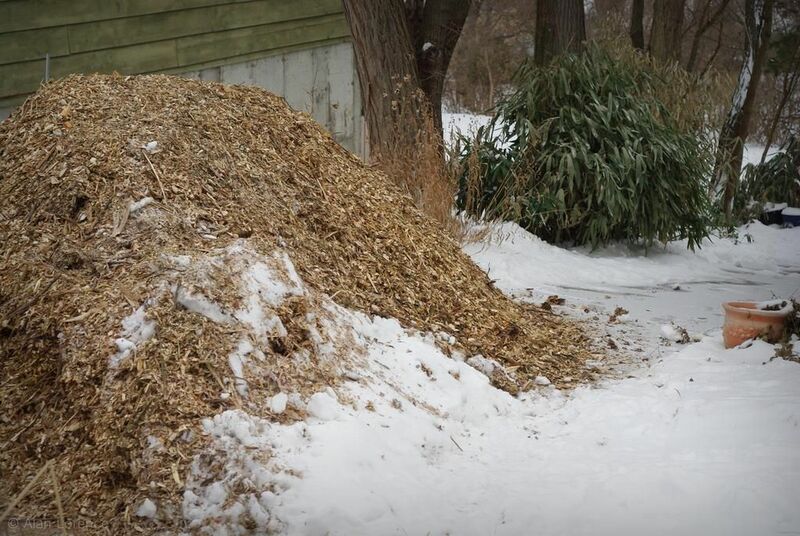 the woodchips. I wonder what I will find in March. This is a great pile. I wish I had some of that :-). Oh, the work we create for ourselves!